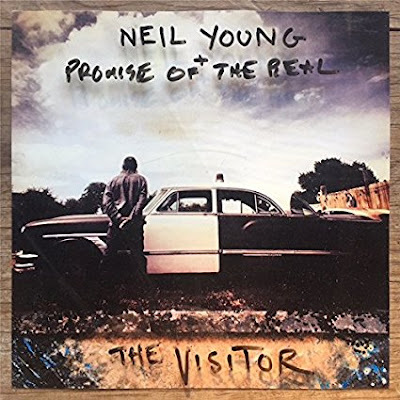 Neil Young returns with his new studio album The Visitor on December 1st. In celebration of the album, Young has also announced plans to unveil his massive online archive on December 1st. The archive will include every album and every song he's ever produced, a timeline of each recording session/recording performance, plus cover art, liner notes, credits, etc. According to Young, the archive will be available to stream "in the highest quality your machine will allow" and will be free, at least initially. The archive is available here starting December 1st. Check out Young's Facebook comments about the archive below, and more in-depth details on the archive here. "December 1st will be a big day for me. The Visitor will be coming to your town. I will be going to my town. You will be able to hear me and see me. My archive will open on that same day, a place you can visit and experience every song I have ever released in the highest quality your machine will allow. It’s the way it’s supposed to be. In the beginning, everything is free."